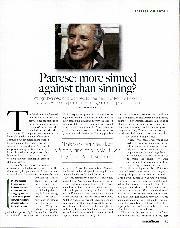 Patrese: more sinned against than sinning? The handsome middle-aged man playing with his train set was once the scourge of grand prix motor racing, the sport’s wild man, the new kid on the grid who, said the wise old champions, was punching above his weight. But the champion of European Formula 3 did not agree; he had worked his way up and those intense eyes were focused on bigger things. Accused of dangerous driving in his second season, he was banned by a kangaroo court but bounced back to race in a record-breaking number of grands prix, a record still unsurpassed. Riccardo Patrese’s English is articulate, delivered with a Hollywood Italian accent. The clothes are stylish, pure northern Italian man, and worn with ease. There is an air of being comfortable with himself, as there always was, which goes some way towards his willingness to talk frankly about a very bad year. Racing drivers are usually only happy to recount their glory days. 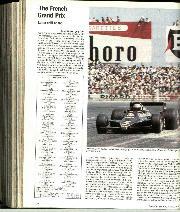 The 1978 grand prix year was packed with drama, especially for Patrese, fresh from F3, F2 and half a season with Shadow. He was, he admits, desperate to prove his ability against the big names. 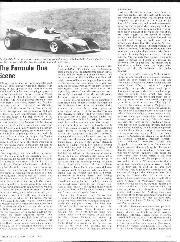 He’d already been on pole in F2, at the Nürburgring, against some very experienced company. But it was a season that many would rather forget. Drafted into the Arrows team by Jackie Oliver in the exodus from Shadow, he was given a neat and effective car. The only problem was that the Arrows FA1 was, in fact, a Shadow. But the writs and politics paled into insignificance compared to the grief around the corner. It was in Sweden, however, that the clouds began to gather. Ronnie Peterson was distinctly unimpressed by Patrese, accusing him of using blocking tactics at Anderstorp, while James Hunt, who was to become his nemesis, spoke of dangerous driving. There were no threats as yet, but the paddock made it clear that the Italian new boy was being watched. 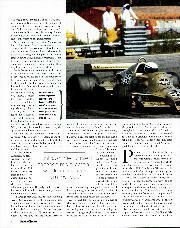 The weekend of September 10, 1978 was a crisis in Patrese’s career, events unfolding at an unstoppable pace. By the time of the Italian Grand Prix, Riccardo was under pressure, whispers were turning to cat calls and the pack, led by Hunt, was on the warpath. They told the young Arrows driver that he was out of order, had better calm down. Then came the dreadful accident on the Monza grid. Peterson was injured in a huge shunt just seconds after the start, the ambulance taking an age to get him to a hospital where his wounds were alleged to have been improperly treated and where he later died, not of his injuries, but of an embolism. It got worse. 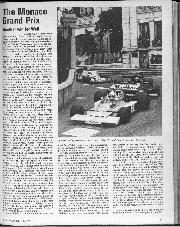 Hunt, particularly angry after the Peterson accident, roped in his senior colleagues and led the witch hunt against Patrese. 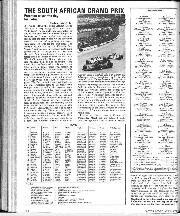 By the time the teams arrived at Watkins Glen for the American GP three weeks later, no fewer than four world champions had decided Riccardo must be punished for what they considered to be dangerous driving, and his part in the Monza tragedy. Much later, a typically protracted Italian legal investigation cleared him of any wrong-doing, the video tapes even suggesting that Hunt may have played a part in the accident. Riccardo did not participate in the 1978 American GP. His peers were adamant and the organisers had little choice but to side with the stars who brought the crowds. But young Patrese was busy trying to clear his name and save his fledgling F1 career. All through that weekend, and the following week, Riccardo saw a lot of the judge’s office. There was support from team chief Jackie Oliver, himself not shy of legal confrontations and keen to keep his driver on the grid. But Arrows was, in those days, a very small team. Rather than upset the FIA and the organisers, Arrows withdrew Patrese’s entry. “So, now I have no car to drive, I cannot race, that’s it,” he adds. “It was not good for the sport, let alone myself, all this politics,” he says. “We proved, of course, that it was illegal for them to ban me like that. I had a piece of paper from the judge to prove that I had a contract to race for Arrows. So, you know, I went back to the circuit and tried to reason with Hunt and the others. But it was no use. Patrese still holds the record for the highest number of grand prix starts and, with Michael Schumacher having retired, next up is Rubens Barrichello who, if he stays in F1, will beat Patrese’s record in the middle of 2008. The Glen in ’78 was the only race Patrese missed in 256 appearances as a grand prix driver. So why did Riccardo eventually retire? A very different kind of horsepower motivates Patrese these days. At home in the Italian Alps, where as a teenager he was selected for the national skiing team, he spends a lot of time on horseback. “Yes, this is my new passion, I love the riding and the showjumping. I think it’s more dangerous than motor racing these days and I’ve had some big falls. Is crazy, no? I come out of the racing after 17 years and now I am jumping on the horses.” He looks skywards, with a shrug of the shoulders. So the young charger has matured into one of the most liked and respected citizens of the racing community. The talent was never in doubt, but to listen again to Hunt’s television commentaries in the 1980s you could be forgiven for assuming that Patrese was the perennial villain. The water is under the bridge, however, and the man from Padua is happy and making the best of life. Shame he never drove for Ferrari. He doesn’t know what happened to the option he signed for Maranello in 1980 or at least he’s not telling. “Since the big accident at the start of the Italian GP there have been a number of repercussions. Immediately afterwards Hunt was blaming the whole business on Patrese, saying that he “barged” his way back into the closely packed field, which bounced Hunt’s McLaren into Peterson’s Lotus. 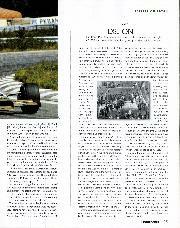 The Lotus swooped right in a big arc, hit the guard rail, bounced back across the track and was struck by Brambilla’s Surtees. While Hunt was blaming Patrese, and Patrese and his team were saying that it wasn’t true and there were no marks on the Arrows, Carlos Reutemann was saying he was very angry with drivers who dart from one side of the track to the other immediately after the start, when cars are all close to each other, and added that drivers like Scheckter should be penalised for being undisciplined. Studying a series of photographs (in colour) taken between the starting signal being given and a matter of yards before the collisions began it is clear what Reutemann was going on about. 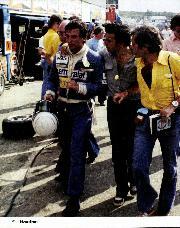 On the grid he was immediately behind Scheckter; in the next picture there is no change in position, but in the next Scheckter has dived across to his right, to tuck in behind Laffite’s Ligier, and there is empty track ahead of Reutemann’s Ferrari. In order to get behind the Ligier the Wolf has cut across in front of Hunt’s McLaren, and in the next picture Hunt is veering to the right. Just at that moment, Patrese, who had got a rolling start due to the mismanagement of the starter, is about to overtake Hunt, well within the half-track width. As he passes he has to swing out to the right as the McLaren is not running straight and true. What happened after that is dependent on drivers’ viewpoints, but in North America a lot of them were very “tight-lipped” when asked about the situation, while Patrese was adamant that he did not hit anyone at all. Unfortunately, Riccardo Patrese has a rather quick temper and does not exude charm, like Tambay or Villeneuve, for example, so a lot of people put their own interpretations on anything he says or does, while the shady manoeuvrings by some members of the Arrows team, as evinced by the Law Courts, does not help matters. All season Patrese has been trying just a bit too hard and enthusiastically for his experience, like Scheckter when he started in Formula 1, and James Hunt when he was in Formula Ford and Formula 3. He has been driving fast and with a lot of inherent skill, but a bit unruly at times, like elbowing Alan Jones off the track in Sweden, and tangling with Ertl at the start of the re-run Austrian GP and being involved with Pironi in Holland. He has not been as helpful as he might have been when drivers have wanted to overtake, and Lauda has complained that he weaves about on the straights. By the end of the season he was not the most popular driver in Formula 1, especially amongst the reigning stars, for without doubt he was going to get in amongst them before long, and they already had Villeneuve in their midst which meant someone was going to be de-throned. All along there has been the feeling that Patrese wanted a good kick up the backside from someone, to make him cool off a bit. At Watkins Glen he got it. A small group of the leading drivers who call themselves the Drivers’ Safety Committee, or some such name, threatened to withdraw from the United States (East) Grand Prix if Patrese’s entry was accepted. After much hassle the Arrows team tactfully withdrew his entry.